With the arrival of KitKat 4.4 on Android last month, Google really went to town on its Hangout feature. The update brought SMS and MMS support to the feature. Among other additions, users can now share embedded GIFs and take part in group MMS conversations – all of which is very nice. However, Google’s Hangouts has not just been a success of late, it’s been a great but often overlooked addition for a long time now. So, let’s take a look at how to use it to its potential. Google’s Hangouts are easy to use, though all participating members do need to be signed into a Google account beforehand. The Hangouts are quick to set up otherwise and are fantastic for everything from one-to-one Skype like chats, right up to group hangouts. The latter is generally known as Hangouts on Air, allowing you to discuss topics with up to 9 guests. These can be set up and broadcast live to your G+ account and also if you have one, a YouTube Channel for the world to see – so the possibilities are huge. So, let’s see how to make the most of Hangouts on Air. It’s ideal to use your business page for Hangouts, simply as this is most likely a work related venture. Remember also to link your YouTube and Google+ beforehand too and test this before the Hangout. Ensure your participating guests do this too, so live followers can see them also. This is easy to do and you’ll be prompted to download and install the plug-in that allows this when you launch a Hangout. Do note that viewers don’t need a Google+ account to see the Hangout – you simply embed your YouTube channel on your blog and they can watch it. Alternatively, they can watch it on YouTube. Here’s how to embed the live video on your site. The Circle feature was Google+’s most infamous claim to fame initially. It is ideal for these efforts too, as it allows you to find and create communities of people that have a specific interest. It’s easy to do. Simply, look through Communities pages of groups you feel will be interested in your Hangout and then click and start adding relevant public members to your Hangout specified Circle. Do understand that you can only add a specific number of people a day to a circle, so plan to do so well in ahead of the Hangout. You now need to create an event; this is required to invite people to the Hangout. This can be done by clicking the ‘Create Event’ drop down box. Here you’ll need to make things seem as intriguing and enticing as possible. A banner image is a good idea as it creates a nice clear visual the Circle community you’ve built will take notice of. Doing this means people are sent an email before the event starts. This links to the live broadcast on your YouTube channel. Be sure to mark the event as ‘On Air’. You’ll come across this option in the advanced settings area. Like any good production on TV, preparation is the pivotal part of success. So many Hangouts fail because of simple technical issues. Check your sound and video are working correctly beforehand. Ensure that the embedded video is also functional, if using one. In addition, there are a number of great apps that you can use to enhance your on-screen offerings and viewer’s experience. When you go on air, you’ll control video, sound and presentation among other things. So, practice these before and get used to the technology. It’s quite simple and you don’t need too many astounding effects to create a good Hangout. It won’t just be you who needs to prepare. Depending on how long the Hangout is, it’s often a good idea to give the masses a quick tip off your Hangout is starting soon. Google has this covered and all you need to do is click the ‘On Air’ option at the top of the screen. This will send out an email to the eager viewers – your 15 minutes of fame will soon begin. When the Hangout begins, just stay calm. There’s little or nothing to it, so just be natural. One thing we would suggest is to turn on and off mikes of speakers as it’s required. You’d be surprised at how much noise can come from other people unwantedly. This is an option in the ‘film strip’ area. It’s a good idea to take screen grabs for social media promotion after the event is over. It’s also possible to edit the video via the YouTube editor afterwards, as well as optimise it for SEO purposes. The Hangout can become a vital piece of content and with a little smart social media promotion can be a fantastic aid for engagement and discussion. So, use this great resource in the same manner you’d use a topical video. Hangouts are a fantastic addition and are often underutilised in the UK as well as elsewhere. With these tips you should be up and running and creating successful Hangouts in no time at all. 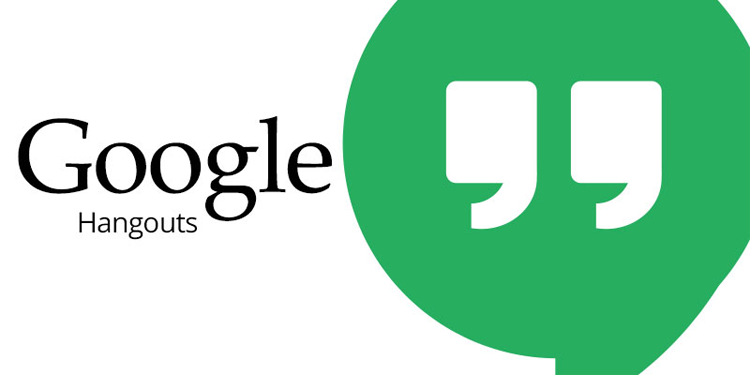 Do you use Google Hangouts and do you have any tips for us to add to our repertoire?